We don’t know much about the identity of G I V D A, but the smart money is on it being a side project of Cosmic Sumo boss Andrea Rucci. Certainly, fans of the Italian producer’s curious analogue mix of psychedelic synths and sparse electronic rhythms will enjoy “Cosmic Circle”. From the audible hiss and vintage drum machine beats, to the proto-acid electronics and fuzzy, alien chords, it’s every bit an old fashioned cosmic disco weird-out. Rucci’s own edit turns it into an intergalactic, robo-disco stomper, while Loudtone channels the spirit of Codek on his wide-eyed rework. 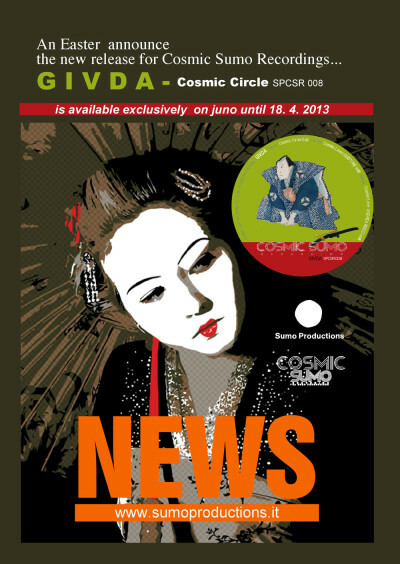 An Easter announce for the new release of Cosmic Sumo Recordings. 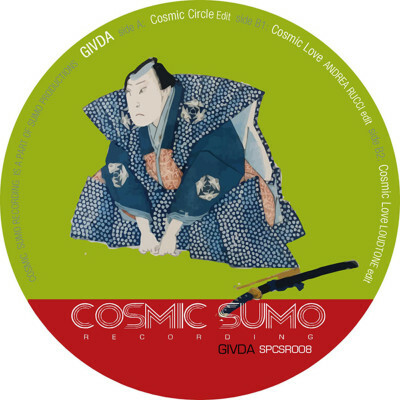 A release based on nu’ & cosmic disco and will move you in to the world of GIVDA with the sound of Umberto Saba and Andrea Rucci. ATTENTION !!! 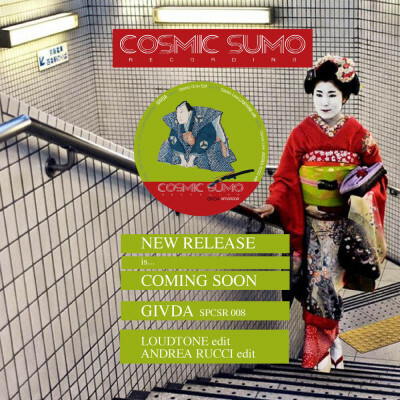 The new release G I V D A , with the fantastic edit of Loudtone and Andrea Rucci will be available for the first 15 days only on juno shops. Then in all other shops. will be available soon in all digital stores !! !